Most minor “fender benders” can ruin your day. In many cases cause you to spend excess amounts of time handling repairs and insurance claims. When injured in an accident and you are not at fault, your challenges become even more complex and extensive. Oftentimes you are stuck on the phone, waiting for claims and insurance adjusters, receiving medical treatment, and worse – missing work. Seeking the help of a personal injury lawyer ensures you understand your legal rights and responsibilities. This helps protect you and your family. Taking the step to call a personal injury lawyer can be overwhelming. If find that you are indecisive, most law offices offer complimentary consultations after your car accident. They assist you with the right next steps. Determining whether or not you need a personal injury attorney is a challenge. Here are four key indicators that are serious signs you need to contact one in Florida. If the person at fault does not have adequate liability insurance, or worse lacks insurance at all, you face mountain-size issues. The big question is who will pay for damages to private and public property and how. In most cases people without the legally-mandated liability coverage cannot afford it. If you were to sue, you may not be able to recover any of your expenses to cover the damage caused by the car accident. A car accident personal injury attorney helps you determine if you have any coverage under your own car or health insurance that kicks in when you are hurt by an uninsured motorist. They often guide you through the process of understanding what your realistic options are. Your personal injury protection (PIP) insurance is part of your car insurance. It covers medical bills you may incur after a car accident. These bills can be moderate to extensive ranging from a basic check-up to ongoing therapy that might be needed for years. Exceeding medical coverage is very common in claims. This tends to happen in cases of whiplash, sprains, and broken bones. It never takes long to exceed medical limits allowable in your insurance coverage. In many cases medical bills are assumed and split between your medical health and car insurance. Insurance companies bounce back and forth to determine who pays the bills. This becomes confusing and often incomplete leaving you with excessive bills to pay unnecessarily. A personal injury lawyer helps you understand the medical coverage you have and your options to recover expenses that exceed your coverage from both your health and car insurance policies. This is one of the most intimidating practices by insurance companies. If you are not at fault often insurance companies of the responsible party contact you to make arrangements. Their goal is to pay you off or discredit the accident altogether. Keep in mind that the insurance representative does not have your best interest in mind. Therefore they do not work for you. These representatives are charged with paying off their customer’s claim (the responsible person) for as little as possible. 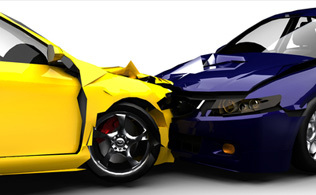 A car accident lawyer helps negotiate with them on your behalf and often gets you a much better settlement. Even if it’s clear who’s at fault in a car accident, there are often many other factors that contribute to the extent of your injuries. Signage, road conditions, and car manufacturing defects sometimes play a key role in car accidents where a vehicles is totaled. In these cases, a skilled personal injury lawyer performs research to determine all responsible parties and learn whether you may be able to recover damages from them as well. This helps you cover any medical bills incurred as well as work days you may have missed as a result of the accident. Other factors considered include substance abuse and construction. A personal injury lawyer can help you understand your legal rights in such a situation. Here are some indicators that you should call a car accident lawyer.